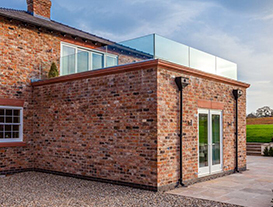 From first contact with the customer to completion of the project, Elliott Build & Glaze Ltd can provide all services required to meet your needs, from full architectural design to the final fitting of the flooring. We aim make this experience as enjoyable and stress free as possible. I am delighted with the work. The job has been finished to a very high standard, the builders and tradesmen were efficient, respectful and did a great job with the minimum of mess and disruption. I would have no hesitation in recommending your firm. It has been a pleasure to do business with you. We can’t recommend Scott and his team highly enough, nothing was too much trouble for them despite discovering a mains drain where it wasn’t expected, Scott took it in his stride and dealt with rescheduling the works. The standard of work is exceptional and we are so happy with the results, the finished kitchen and utility extension are amazing. We would not hesitate to recommend Scott and his team for anyone looking to undertake any building work. The work completed was to a great standard, on time and on budget. In addition, their customer service has been second to none, the guys were all hard working and friendly, the site was always left safe and tidy. All together the project was a great experience and we are very satisfied!! I have been absolutely delighted and satisfied with all aspects of the work done for me. 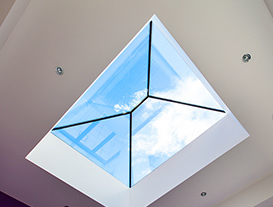 Mr Elliott and his company have, and will no doubt do so in the future, delivered on their promises of high quality materials installed with expert craft and skill. I recommend them without any doubt and with every confidence. We would like to say we are extremely pleased with the work you did recently to our patio and repairs to front porch. Due to this high standard of work, we would have no hesitation in recommending you to all we come in contact with. Just wanted to thank you so much for our fabulous new room. I love it and really appreciate all your hard work in getting us there. We are delighted with the quality of our new windows and doors and the fitting process was extremely quick and efficient. The service provided by S R Elliott Build & Glaze was excellent in all respects, with a friendly but wholly professional approach resulting in a super job. This is a company who break the builder stereotypes. Punctual ,professional, proud of their work and a pleasure to have in your property. Every stage was completed on time . All price quotations were accurate and there were no unexpected costs . The end result exceeded our expectations. From our first introduction to the last stage sign off, Scott and the team showed tremendous professionalism, experience and first-rate customer service. 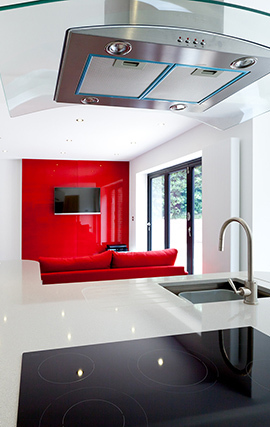 With their experienced QS to thorough Project Management, I would fully recommend Scott and the team to anyone.